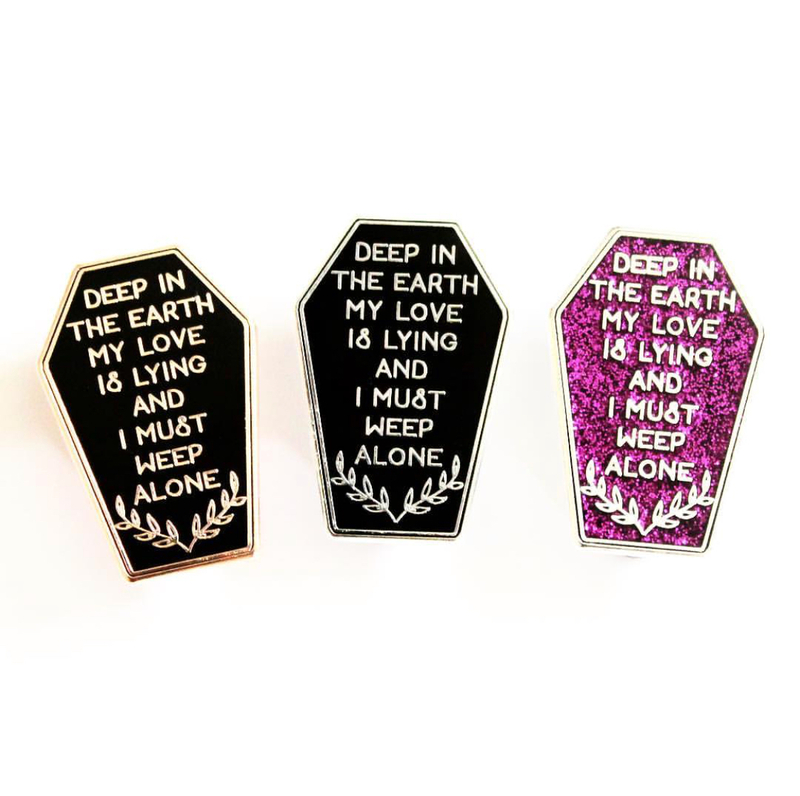 This pin was designed by @thesilverspiderprintshop for our July Edgar Allen Poe package. It’s around and inch and a half. It comes in 3 options. 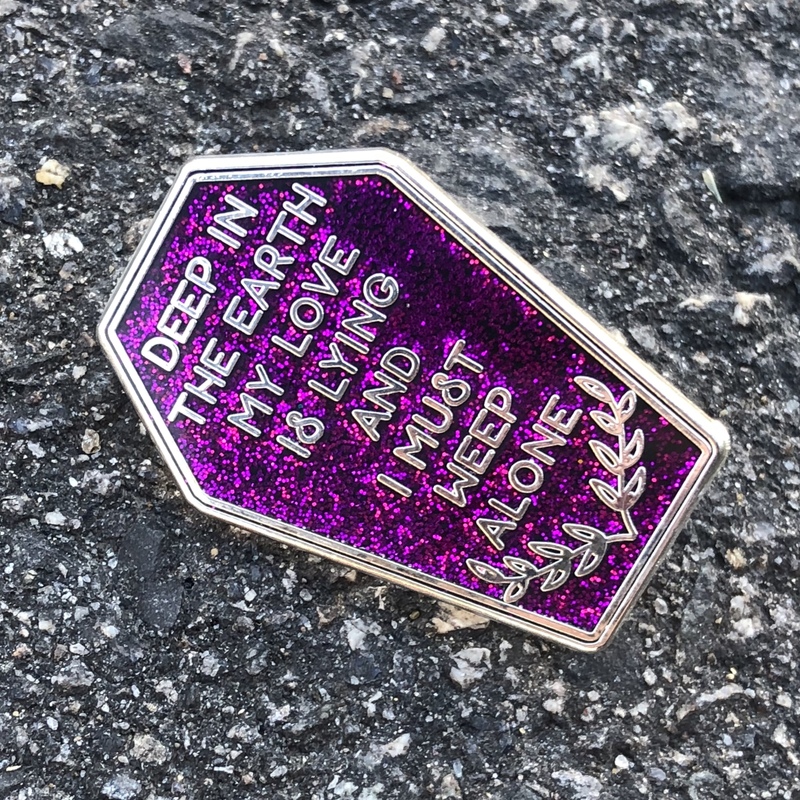 Silver colored metal and black hard enamel, silver colored metal and limited edition purple glitter hard enamel. Or! 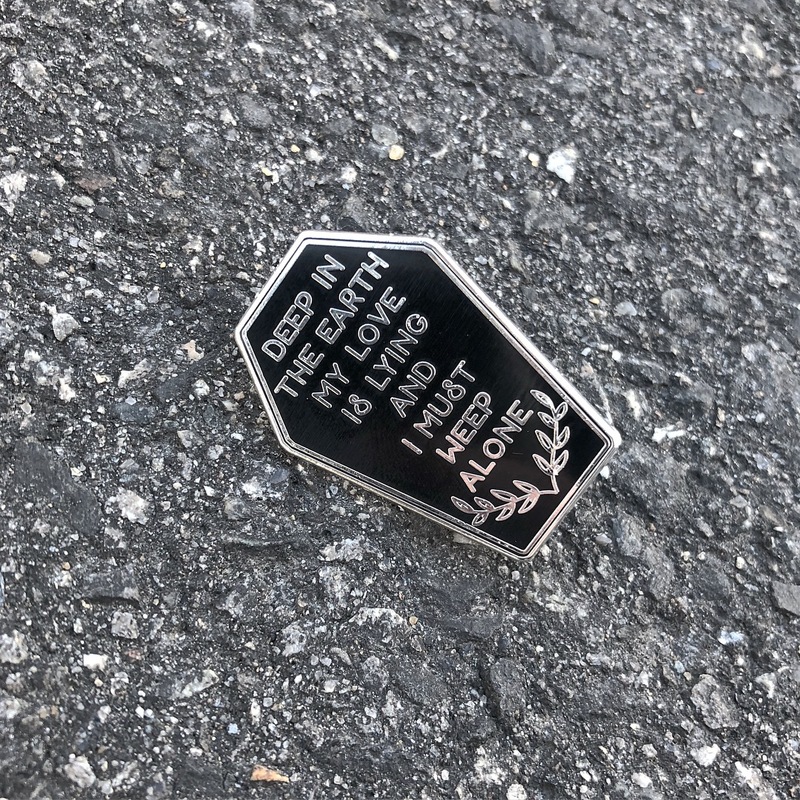 Limited edition Rose gold colored metal with black hard enamel.